Next week is the LA Auto Show, one of the largest North American auto shows of the year. It’s also a big one for Audi, as the four-ringed brand will be showcasing a few new models that are hugely important to the US market. While Audi will be showing off all of its new cars in LA, such as the Audi A6 and A7, it won’t be the first time those cars have been seen at a US auto show. Though, there will be three Audis making their North American auto show debut. 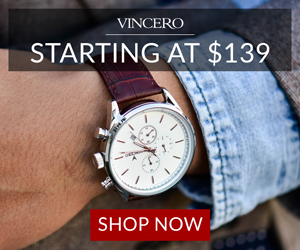 So let’s talk about those. Let’s start with the most obvious — the Audi e-tron. The e-tron has been the biggest news of the year for Audi, and maybe even the decade, as it’s the first-ever all-electric vehicle to wear four rings. The Audi e-tron made its worldwide debut at an even in San Francisco but the only people in attendance were journalists and the movers and shakers of the automotive world. At the LA Auto Show, the e-tron will be on display for the American public for the first time. While you might be forgiven for mistaking the Audi Q8 with the aforementioned e-tron from a far, as their design languages are very similar, they’re two very different cars. The Audi Q8 is the brand’s newest, most exciting gasoline-powered SUV (the e-tron the most exciting outright) and it will be on display to the public in the US for the first time. 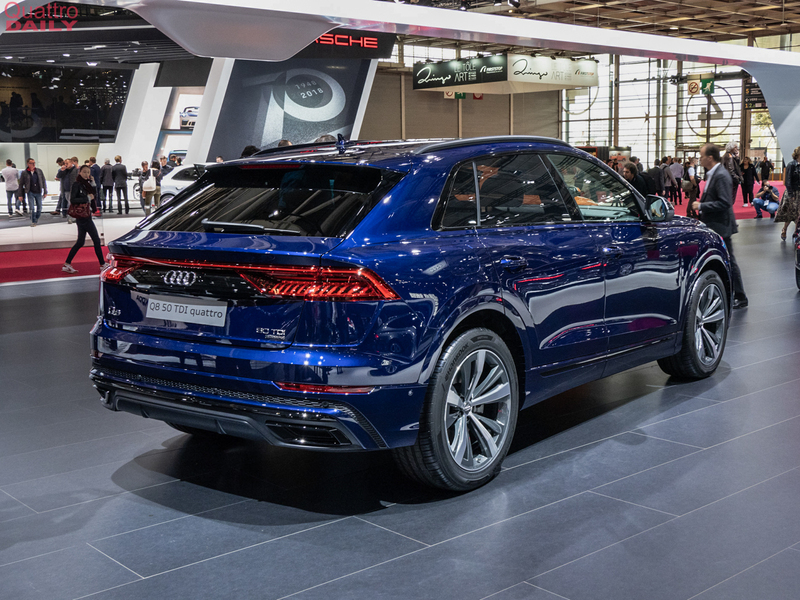 The Audi Q8 is designed to be sportier, more stylish and even more luxurious than its Q7 sibling. It also gives Audi a car to take on the BMW X6 and Mercedes-Benz GLE-Class Coupe. So we’re excited to see it in LA, even though we’ve seen it before, to see the reaction of American customers, as this is likely to be its biggest market. 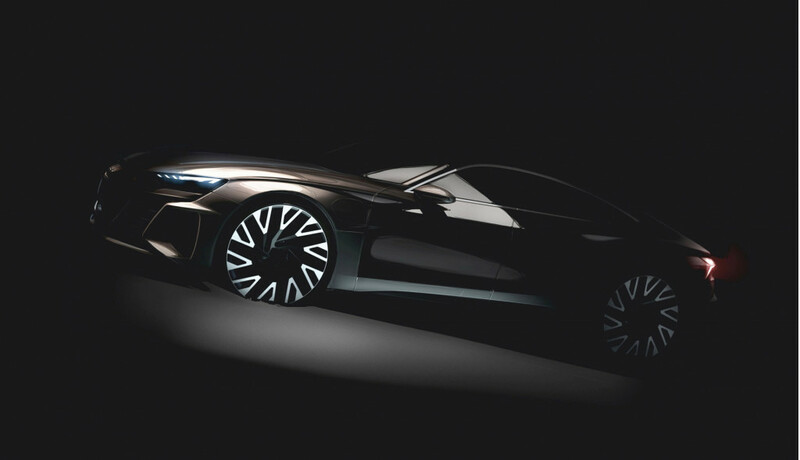 While the e-tron SUV might be the most important car in LA for Audi and the Q8 will be the best selling car on display, the Audi e-tron GT will be the most exciting. Period. That’s because it’s going to be a four-door, all-electric sportback concept that should have impressive performance figures as well as a class-leading range (even though it will just be a concept). 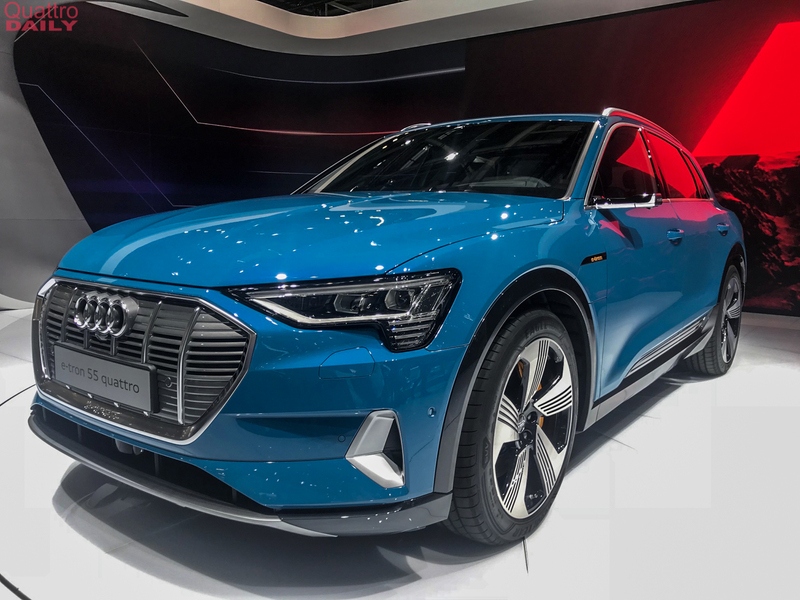 The Audi e-tron GT will be the car to bring excitement and dynamics to the e-tron lineup and the car that brings customers into showrooms to see. While it might not have the same effect as the Audi R8 did way back when, bringing a massive influx of interest to the brand as soon as customers saw Tony Stark driving the mid-engine Audi on the big screen, the e-tron GT could have a similar effect for the e-tron name. So we’re pumped to see it. VIDEO: Would you take the Audi A7 over its German rivals?